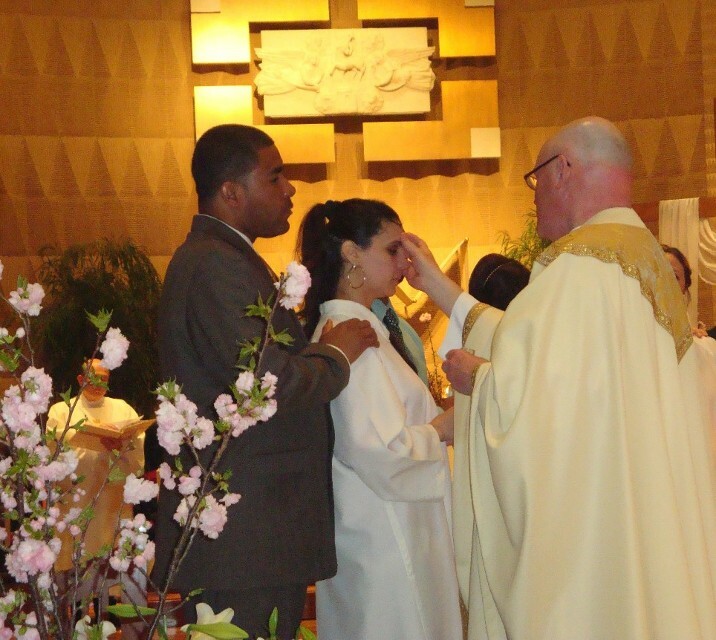 Perhaps you have been thinking about becoming a baptized member of the Catholic Church, perhaps you have been baptized a Christian and now would like to become a member of the Catholic Church, perhaps you have not received all the Sacraments of Initiation, Baptism, Confirmation, and Eucharist, then perhaps the RCIA (Rite of Christian Initiation of Adults) is for you! The RCIA is a process, a journey of faith. It is about people, people on the move, people being remade in the image of Christ and reborn in the Spirit, people on a journey toward faith. Through this gradual, and comprehensive process individuals are trained in the Christian way of life, come to know Jesus Christ through the Catholic community and learn to live as Jesus’ disciples, continuing the mission of Jesus Christ in the world today. Does this sound like what you are seeking? Do you know anyone who is seeking the Catholic faith? Please contact Sister Judy at Saint Anne’s Parish Office (352-5904) or srjudy@stannesgc.org for more information. There are pamphlets in the lobby of the church, Five Reasons to Consider the Catholic Church and What Can the Church Offer Me?. Please take one for yourself or to pass on to someone you know who might be ready for the RCIA. Returning to the Catholic Church: Perhaps it has been years, or even decades, since you have attended Mass or received the Eucharist. Please know you are welcome at Saint Anne's. If you would like to speak with someone to discuss returning to the Church, we would love to speak with you. Please call the Parish Office at (516) 352-5904 or e-mail srjudy@stannesgc.org. Learning More About Our Faith: Are you interested in learning more about our faith? Our parish offers various prayer and educational opportunities throughout the year. We would be happy to discuss your ideas and suggestions, as well as let you know what is happening in the parish. Please call us at (516) 352-5904 or e-mail srjudy@stannesgc.org.